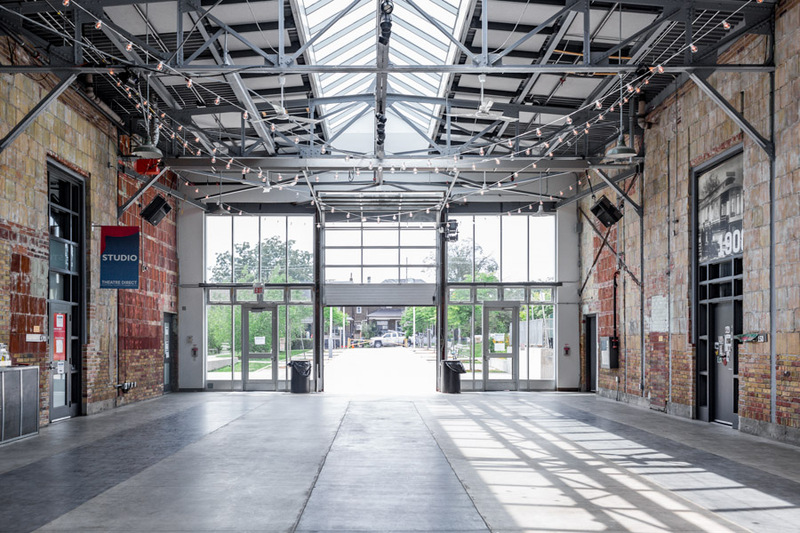 Artscape Wychwood Barns wedding venue is a super cool space, hidden within a residential area smack dab in the middle of the city. 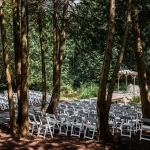 This venue is really unique in that it is located within a city run park “Wychwood Park”, within one of Toronto’s most architecturally and geographically unique neighbourhoods. 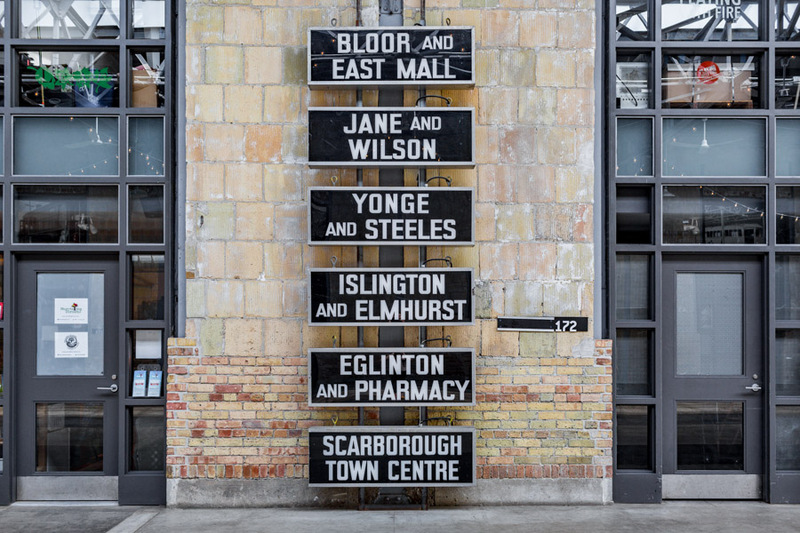 The building itself is a complex of five former streetcar sheds constructed in 1913 in a classic revival industrial style, as a repair and housing facility for the Toronto Civic Railway. 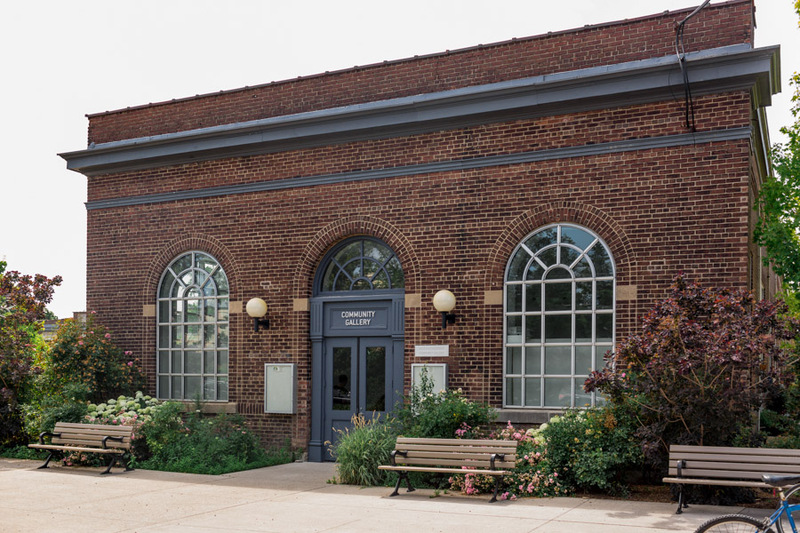 In the early 1900’s and well into the 1940’s, the site was a busy and very important transit facility, but it was repurposed soon thereafter and decommissioned in 1978. 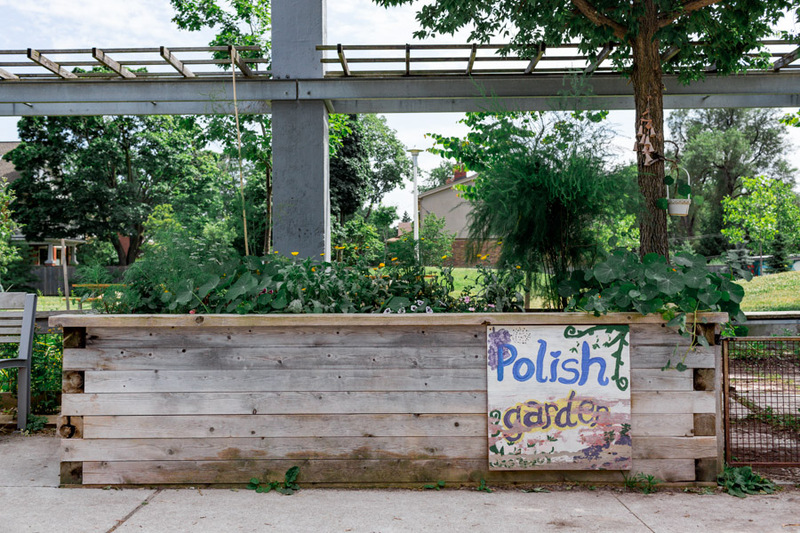 In 1996 the barns were scheduled to be demolished but thanks to a local Councillor, Joe Mihevc, Artscape, a passionate group of community members, and significant fund raising efforts, the barns were saved and reconstructed in the mid-2000’s. 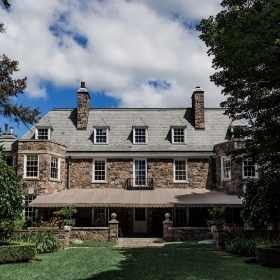 The new design was focused on sustainability, heritage preservation and community interaction. 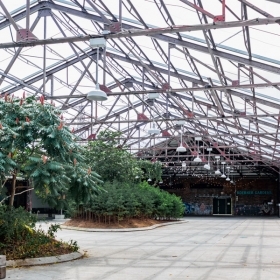 You can find out more about the history of the Artscape Wychwood Barns wedding venue here. 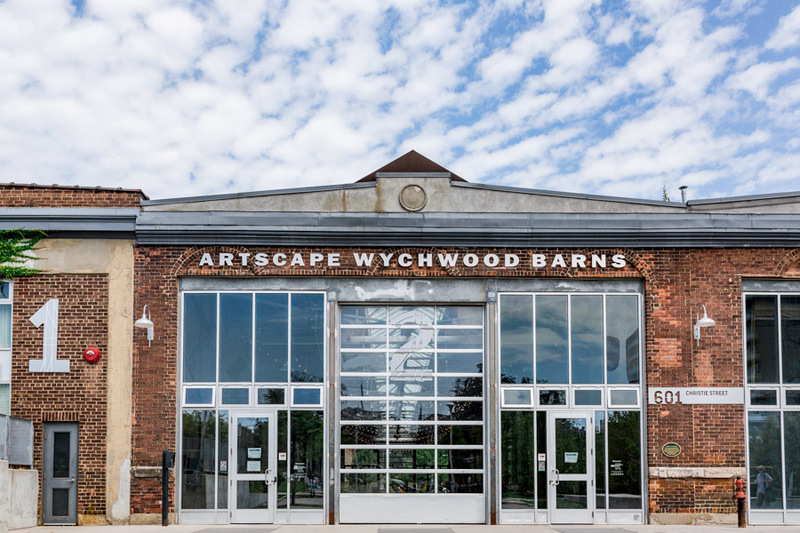 Today, Artscape Wychwood Barns is a community cultural hub where a dynamic mix of arts, culture, food security, urban agriculture, environmental and other community activities and initiatives come together. 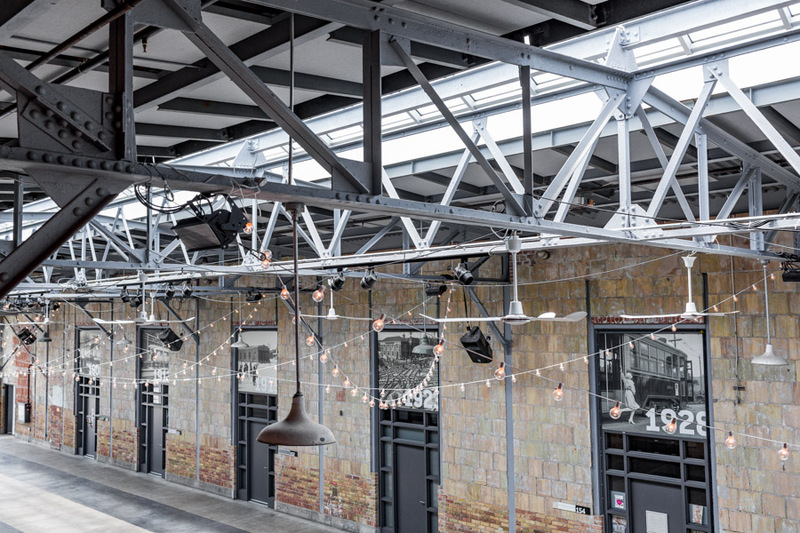 The space hosts a number of events year round, including farmer’s and art markets, conferences, community events, and weddings! As the heritage site operates as a social enterprise, revenues from venue rentals help keep these great cultural landmarks open to the public and accessible for the arts community. 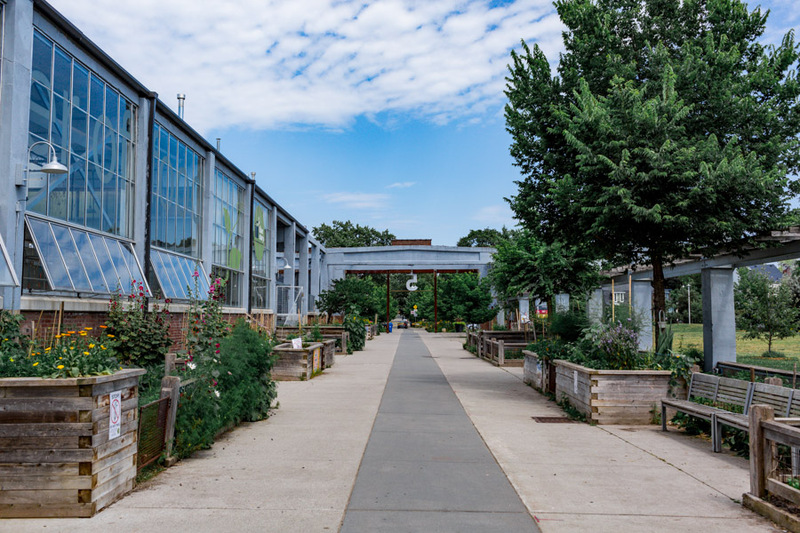 Artscape Wychwood Barns wedding venue is beautiful! 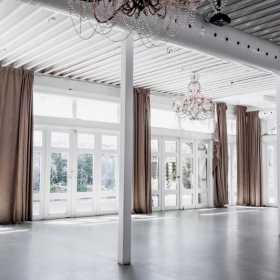 It featured a full-length skylight which really brings the outdoors in, and provides natural daylight inside the venue to create a beautiful setting and the perfect space for gorgeous wedding photos! 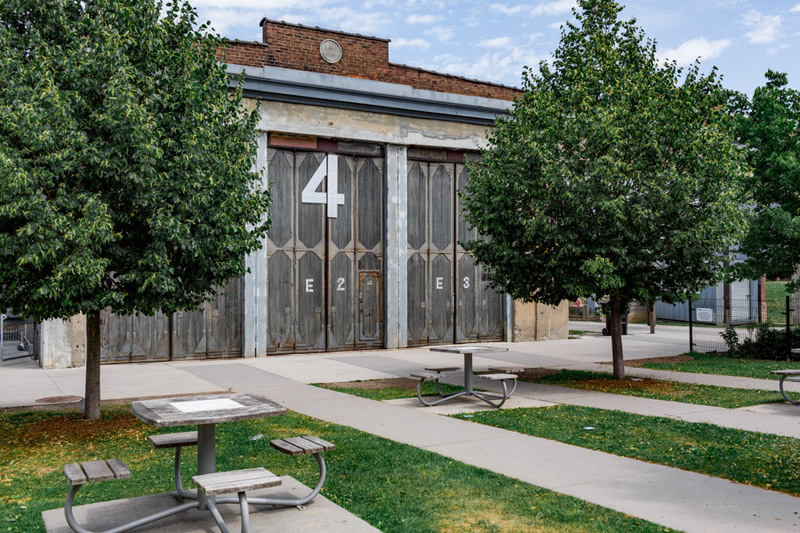 Glass garage-style doors on both side of the space open up to the public park and look oh so cool and trendy. The exposed bricks and old streetcar signs lining the walls provide an urban/rustic/relaxed feel perfect for a laid back modern couple. The venue is also staffed by some pretty awesome people and you can be sure to be well taken care of should you book this space, or any of the other Artscape Event Venues. 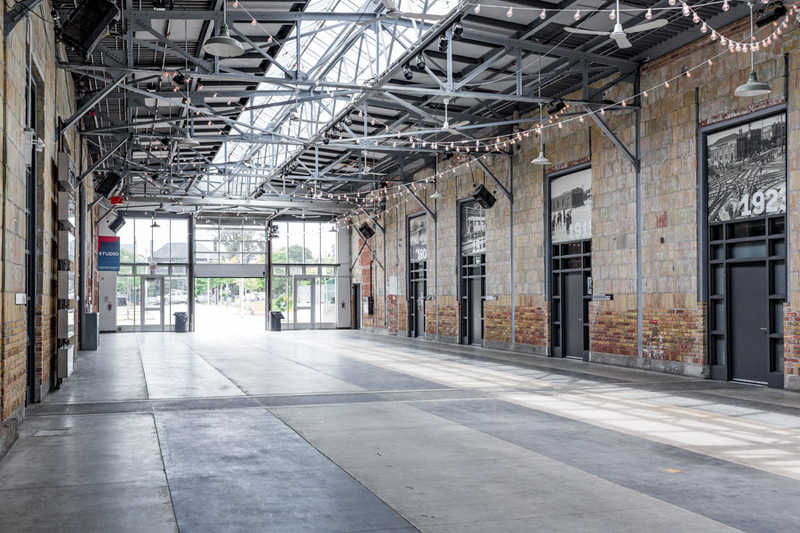 What do we love most about the Artscape Wychwood Barns wedding venue? Aside from how bright and airy it is and its super cool vibe, probably the rich history of it’s walls and the fight it took to save it from being torn down. It’s just this special space that means so much to so many people and has become a hub for the community. 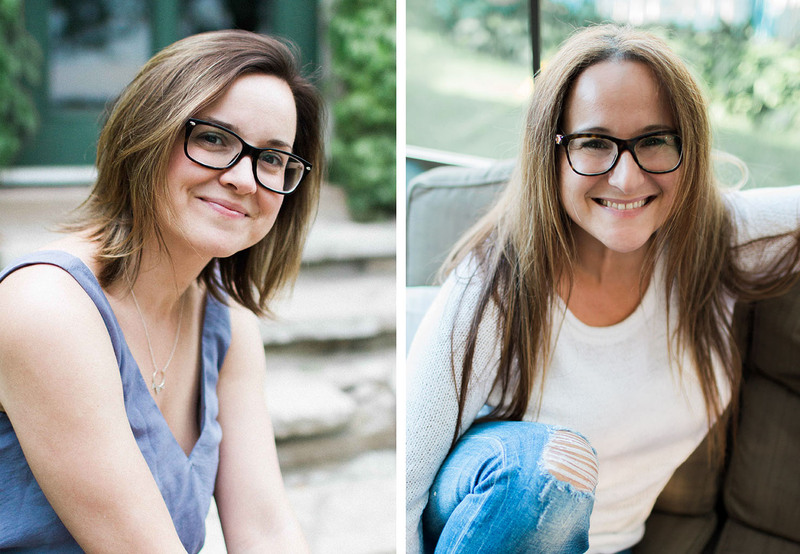 Knowing that your wedding investment goes to such a great cause, is also a definite bonus when planning your wedding. 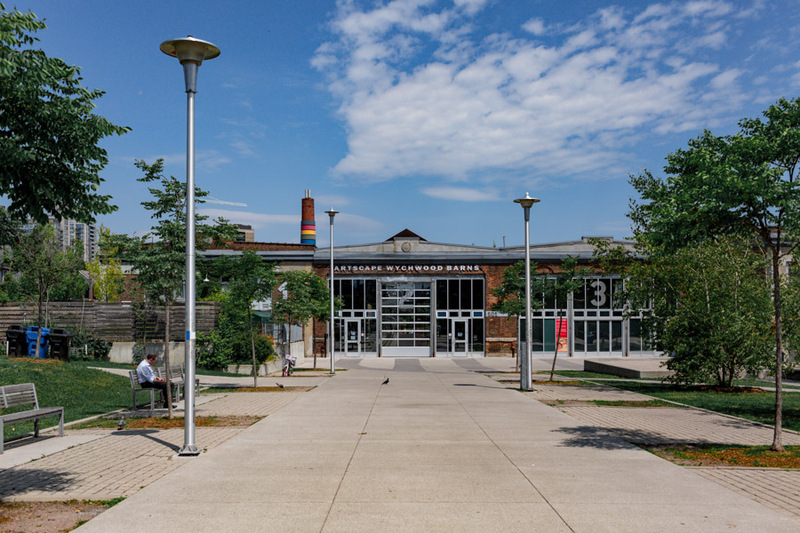 *To note: Due to Artscape Wychwood Barns wedding venue Good Neighbour Policy, events may not go past 11:00pm from Thursday – Saturday (10:00 pm during the other nights of the week). 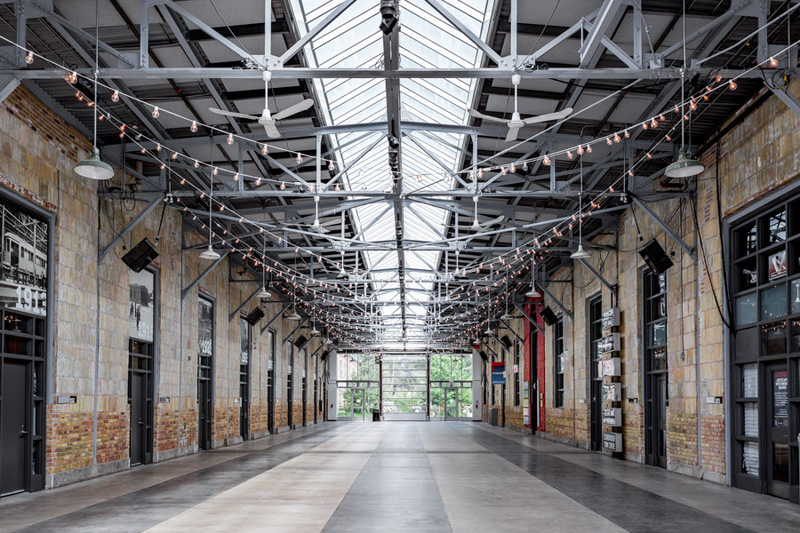 If you’re looking to have party that lasts into the night, the staff at Wychwood Barns can help you figure out a plan to move the party to another venue or hot spot downtown!